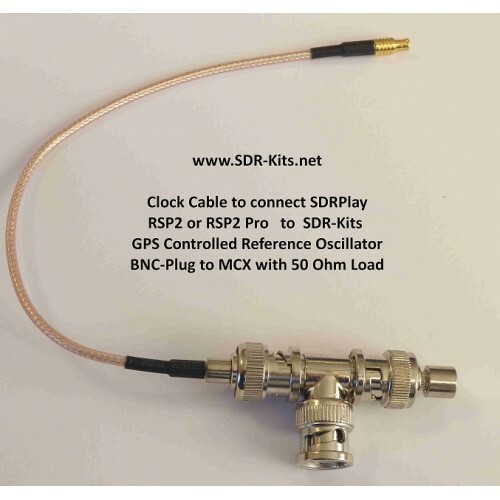 The External Clock cable allows the RSPduo RSP2 or RSP2pro Master Oscillator to be supplied from the SDR-Kits GPSDO instead of from the internal RSP2 TCXO clock. 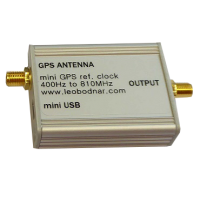 The Typical frequency stability of the GPSDO is +/- 1 part per Billion (1e9) after lock is obtained versus +/- 0.5 parts per Million (0.5e-6) for the internal RSP2 or RSP2pro clock, hence any frequency drift is reduced by a factor of 500. What does this mean in practice? 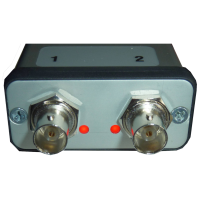 There are certain application when receiving transmissions in the higher UHF band or in the L-Band where the RSP2 receive frequency will shift by as high as 500 Hz or even more during the night in a cold room when the Central Heating is switched off. 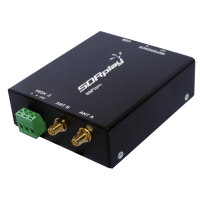 When GPRS output signal is used as external clock for the RSP2 the Receive frequency will move by less than 10 – 15 Hz, providing uninterrupted reception of wanted transmissions or frequency data collection for Astronomy or Scientific purposes. 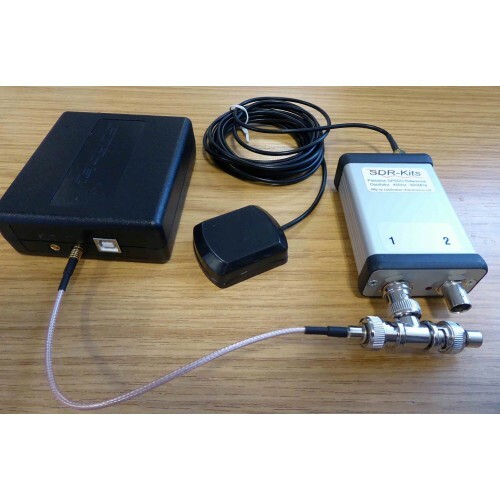 How to use: Set the GPSDO to generate 24.000 MHz locked to the GPS network and plug in MCX connector into the RSP2 or RSP2pro Ext Clock-in Connector. 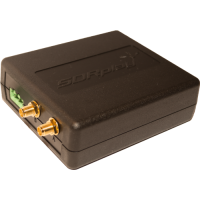 Next plug in the USB Cable into the RSP2 and start the GPSDO application. The RSP2 is now using the GPSDO 24 MHz Precision Clock. 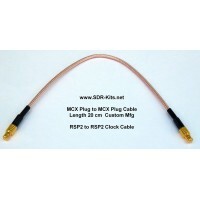 The External Clock Cable consists of a BNC Plug to MCX cable, plugged into a BNC T-connector which is terminated by a 50 Ohm BNC Load resistor, which is critical for forcing the RSP2 to accept the External clock input.